Individuals living in apartments and other multifamily housing arrangements are often prohibited from traditional grilling with charcoal or propane. 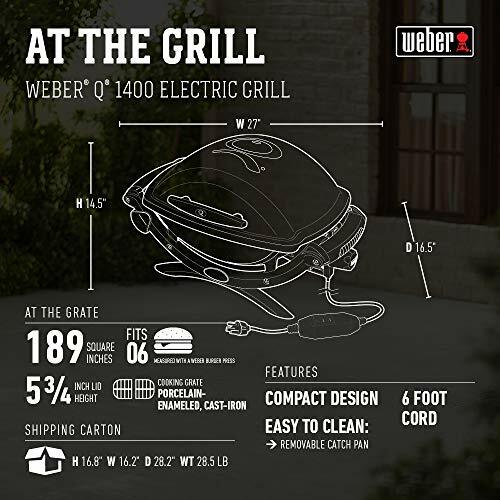 To address the desire for grilled meat in these situations Weber offers the Q1400 Electric Grill. It is made from a rust-resistant cast aluminum body that is supported by a glass reinforced nylon frame. 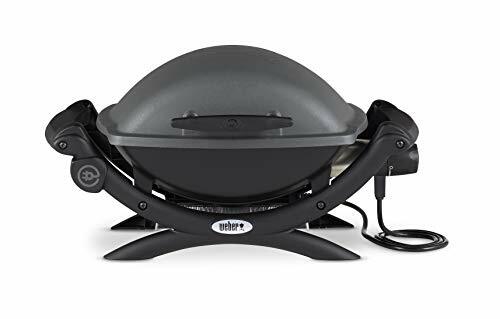 This makes the Q1400 Electric Grill with the kind of lightweight you want on your deck or patio, while also being sturdy and strong. It comes with a catch tray to collect any drippings under the body. It sits comfortably in the frame and is large enough to handle a significant amount of drippings, while also being easy to remove for quick cleanup. 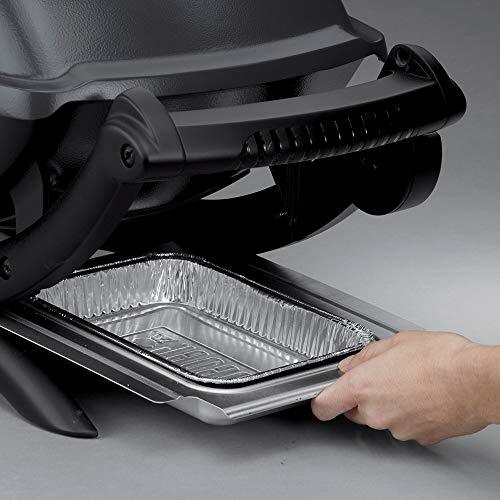 The body of the grill has two aluminum heat retention liners help hold the heat in for consistent temperature control. It’s 1560-watt electric heating element and infinite heat setting knob generates a high level of heat compared to other electric grills. This can provide you with superior searing capabilities. 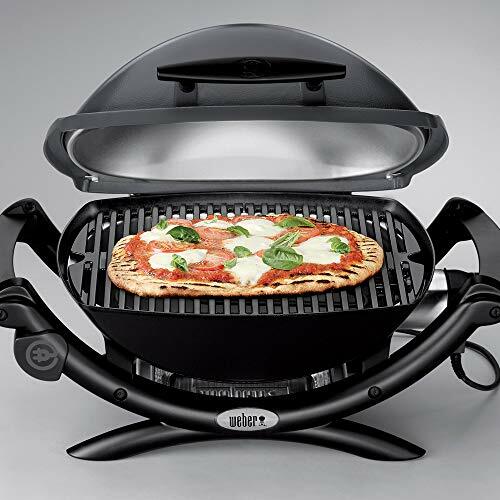 The Q1400 Electric Grill offers a 189 square inch cooking surface. The grill grates are made from cast iron and they a nonstick porcelain enameled outer coating. The cast iron also helps with heat retention. 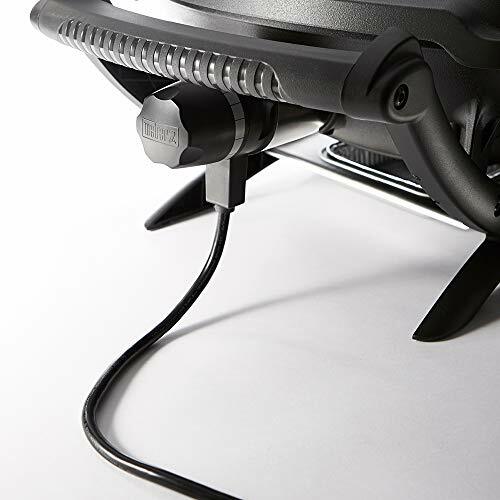 The Q1400 Electric Grill requires very little assembly beyond removing the packaging, installing the collection tray and attaching the power cord. 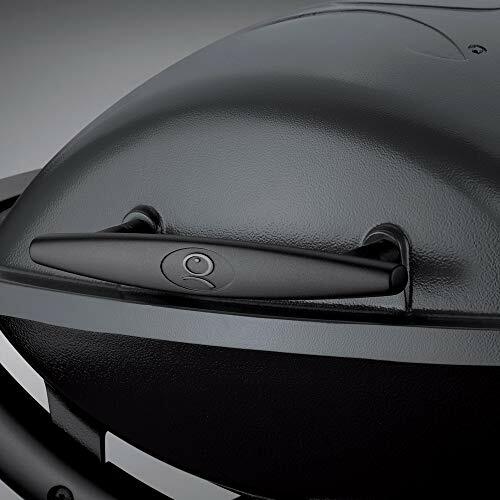 The blend of materials used with the grill has a reputation for durability compared to other electric grills in a similar price range. The use of cast aluminum and other reinforcing materials combine light weight with strength. Though it’s worth noting that acidic marinades and other juices that contact the aluminum surfaces, will need to be cleaned away as soon as the grill cools down to prevent tarnishing. 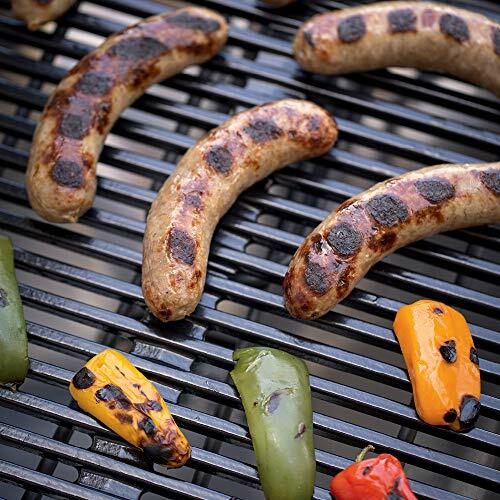 The 1560-watt electric heating element and infinite control knob allows the grill to produce high heat when needed, yet it is also capable of lower temperatures when called for. The cast iron grill gates also help with heat retention as well as being able to transfer enough heat to create a superior sear. At the same time, the two aluminum liners help with heat retention. This can be especially helpful for low heat applications, such as roasting a single bone-in turkey breast or chicken leg quarters. However, hybrid grill with indirect heat can be a challenge with the Q1400 Electric Grill. 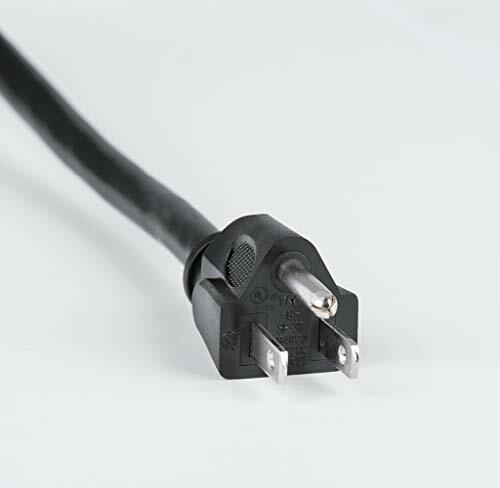 The single electric element is continuous, meaning that you will always be grilling over direct heat. For longer cooking applications, this could lead to minor issues with a burnt exterior. 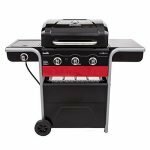 The Q1400 Electric Grill features a 189 square inch cast iron grate that has been coated with nonstick porcelain. 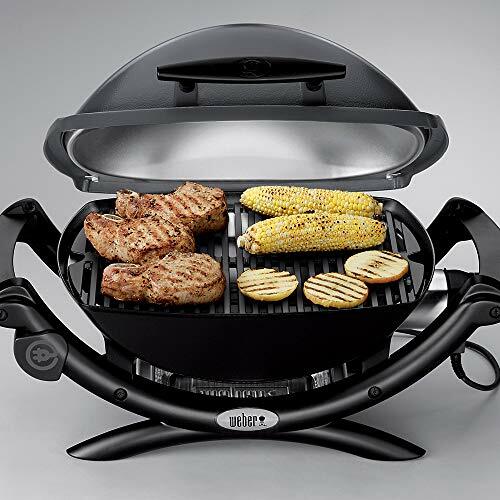 This means it can easily handle something like grilling hamburgers for two or three diners. 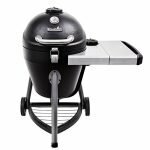 If you want to grill more for four or more the 189 square inch surface might not be sufficient, or you will have to deal with overcrowding issues. 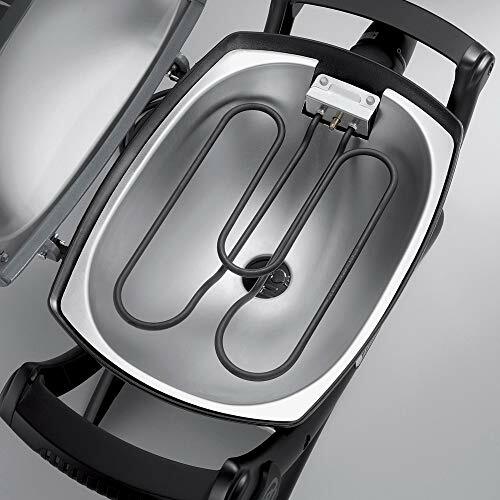 The Q1400 Electric Grill is too small to include a warming rack. If you do find yourself in a situation where you need to grill for more than four people, you may have to grill in batches, then hold them over, wrapped in heavy duty aluminum foil in a warm oven. 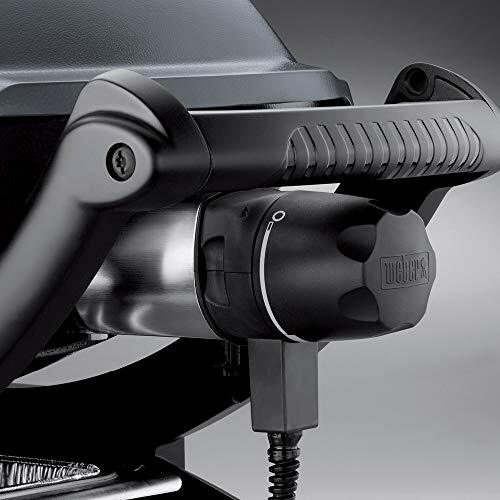 The Weber Q1400 Electric Grill is relatively easy to clean. The contours of the lower body encourage drippings to run out the bottom to the easily removable catch tray. It’s important to keep in mind that aluminum that is exposed to acidic material such as a marinade, can gradually tarnish the aluminum. While it will not degrade the metal, it could affect the internal aesthetics of the grill. A simple wipe down after the unit has cooled will help clean away any acidic drippings. Another solution to this issue is to simply line the bottom with heavy duty aluminum foil every time you grill. Leave a hole at the bottom to allow it to drain into the catch tray. Once the grill cools down, you can simply remove the aluminum foil and throw it in the garbage. The porcelain coating on the cast iron grill grate makes it easy to clean. A gentle scraping after you are done grilling should free any residual material. If the grill grates have a significant amount of stuck-on material, they can easily be removed and soaked in warm soapy water. Once they are soft and loose, you can gently scrub them away with a nonabrasive sponge. The Weber Q1400 comes with a multitier limited warranty. The grill’s body, lid assembly, porcelain-enameled cast iron cooking grates, and plastic components all come with a 5-year, no rust through or burn through warranty which excludes fading and discoloration issues. The heating element has a 2-year, no rust through or burn through warranty. 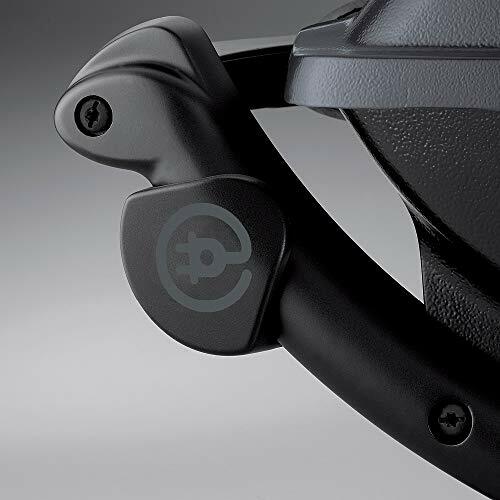 All other components come with a basic 2-year warranty. Some retailers also offer an additional protection plan. 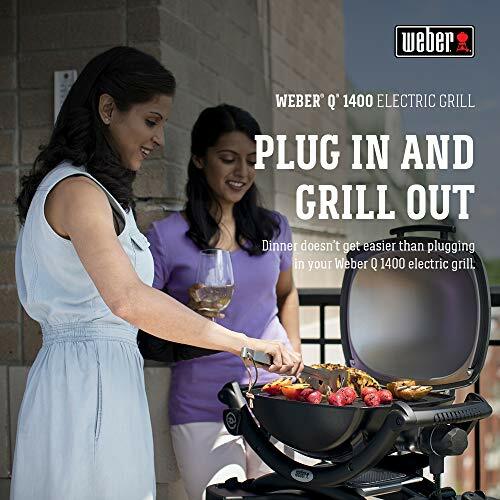 If you live in an apartment or another situation where you can’t grill outside with a traditional charcoal or gas grill, the Weber Q1400 electric grill can let you scratch your itch for grilled food. It’s lightweight yet durable construction also makes it portable to take with you if you want to take it with you camping or tailgating where electricity is available. If you need to grill for more than three people, you may want to take some measures to keep food warm while you grill in batches. Taking a few minor measures can help with cleanup while also extending the overall lifespan of the grill.